One of the most dramatic IT moments in the life of any user arrives when you lose your personal files by mistake or accident. Although these unfortunate events have always tended to be associated with desktop computers, modern smartphones—with their mass-storage possibilities—are ever more susceptible to suffering the same problems. But don’t panic yet, as despite its seeming impossibility, there are ways to recover photos and videos that you’ve lost on your smartphone. This isn’t a matter of magic. When you delete a file from a storage system you’re not really deleting said content, but rather marking the place where it was found on your drive as empty so that the system can write over it (at least on certain file systems like FAT32). Thus, if these sections are not overwritten with new data, there are ways to re-mark that information as available. Or in other words, if you lose data, DO NOT do any overwriting tasks on the unit where it was found and start the recovery process as soon as possible. This procedure will vary depending on the phone’s storage system and whether or not your device has been rooted (or jailbroken in the case of iOS). If you store your videos and photos on an SD card, you’re in luck, since there is much more hope of recovering the files since you can work externally from the phone and isolate the affected unit. The first thing to do as soon as you’ve lost the images is disconnect the card and connect it to a PC using a card reader. This means the system will recognize it as an external disk. 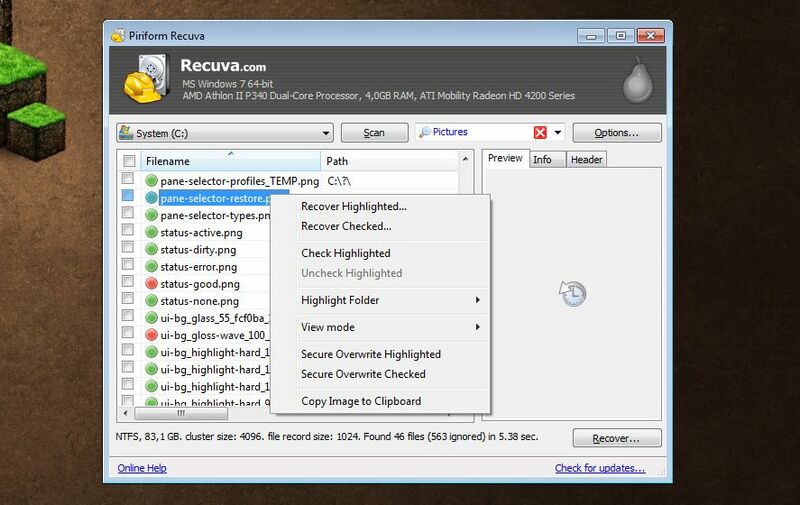 The star program for Windows for recovering files deleted by accident is Recuva, a tool developed by Piriform, who also created the popular CCleaner. In an earlier post we went into detail about the program, but there’s nothing mysterious about the way it works: You open it, select the unit in question and the type of file that you’re looking for, and after a short search period you’ll get a list of all the recently erased files. If there’s a green circle next to a filename, it’s possible to recover it. If it’s red, it’s gone forever. 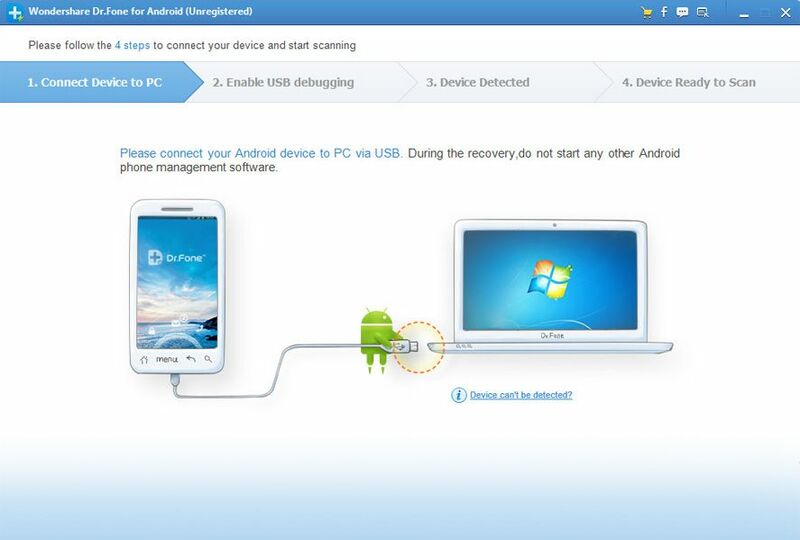 There are many other programs that do similar things, among them Wise Data Recovery or more comprehensive alternatives like Jihosoft Photo Recovery, but in most cases these are trial versions that require you to buy the app in order to be able to do the recovery (otherwise you’ll only be able to detect the possible files to be restored). The real problems arise when your smartphone has no extractable storage system and stores all your data on its internal memory. It’s much more complicated to use tools like Recuva in this case, since when you connect the phone to your PC it’s detected via the MTP protocol instead of as a mass-storage system, meaning that it can’t be treated as a standard drive and most programs of this sort aren’t capable of detecting a phone through a USB cable. This is because most internal smartphone memory uses EXT4 or F2FS file systems, which are almost impossible to recover deleted files from. Rooting your Android device consists of making a particular modification at the software level so you can get certain privileges and features that you can’t access by default. Certain apps require this for their use, as in the case of Hexabomb Recovery, one of the few apps that can recover files from EXT4 units. If you’re not up to the task of “rooting” your phone, you can still try, as a last resort, certain recovery programs from your PC. Dr. Fone is one of them, with a wizard that can recover photos, stored chat conversations and other temporary documents that can’t be easily located. If all the above doesn’t work and you still want to try something crazy, you can try creating an exact image of your external drive, virtualize it on your PC and restore it with Recuva or a similar program. On the XNA-Developers forums there’s an interesting tutorial about the process to be followed. Deactivate the WiFi and 3G immediately along with any file-syncing or backup service to avoid any overwriting on your unit. Don’t root the phone after the accident to use recovery apps since even though Android seals off the system files, it’s more than possible that the process will start some overwrite tasks on the rest of the unit. If you’re going to connect the phone to a PC, use a good-quality USB cable (preferably the one that came with the device), and use a USB 2.0 connection or higher, avoiding hubs and extension cables. Programs like Dr. Fone install their own drivers, and in the case of Windows, we already know how unhelpful it is when it comes to detecting external hardware. If you use WhatsApp, in the /WhatsApp/Media folder on your phone you can find a cache of images that might rescue you, since it stores all the videos and photos that you’ve sent other users. If you’re someone who shares a lot of material, you might have a lot of your lost gallery there. PREVENTION IS BETTER THAN CURE, so it’s a good idea to use some form of backup via an automatic cloud-syncing service like Google Drive or DropBox. Try with this Data Recovery, it enables you to recover lost photos, videos, documents and more other files from computer, usb, smartphone, SD card, camera, etc.